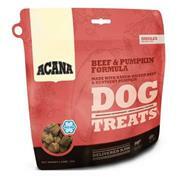 As a dog owner, you most likely want to do everything in your power to ensure your dog’s optimum health. A large part of that includes feeding him or her the right food. Acana Dog Food offers your dog everything it needs in the best of a daily diet. 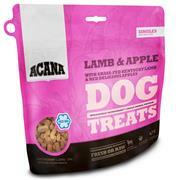 As dogs are natural born carnivores, there is plenty of meat just like the dog would find while hunting in the wild. 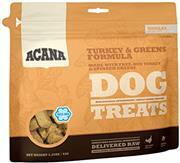 Each bag of Acana Dog food is high in animal proteins, low in carbohydrates, rich in vegetables and fruits, and is either low grain or grain free, depending on what variety you get. 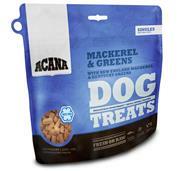 A truly special part of the entire Acana Dog food experience is the tonic herbs it contains that will strengthen the dog’s body and spirit. There is also a variety to meet different types of dietary needs.